People often use bouquets in occasions, events, special day or any other purposes. We all know that it gets made of different types of flowers with innovative designs and style. People who want to wish or convey any greetings to their beloved ones or most special persons transfer the wishes with the bouquets. They often buy any beautiful bouquets in the market and bring it to the occasions to make them feel happy with newly designed bouquets. You can see a tremendous amount of bouquets with different types of designs and flower arrangements for the nominal price. Bouquets are most commonly used for birthdays, anniversary, wedding receptions, award functions and various other occasions as well. You can also order any bunch of flowers from the bouquet makers based on your budget, style, favorite flower and more. Now every bouquet makers have an enormous amount of flowers and designs to décor unique flower bouquets for you. The availability of bouquet for various occasions makes the people job easier to grand the events with the pleasant flowers in the form of bouquet instead of gifts or anything else. Each bunch has its nature and traditional attachment to it. So it’s easy for the people to pick the right bouquets for the occasions. The art of arranging bouquets and presenting it for the occasions had followed from the ancient days to till date. The art of bouquets in the earlier days follow with a traditional method based on the culture. The flower bunch makers also have wholesale flowers shops which are convenient for them to sell both bouquets and flowers at the same time. Bouquets seem one of the best ways to express the love, affection with our special one, so it is created with the bunch of beautiful and memorizing flowers. The sizes, shape, design, flowers to be used with the bouquets get depended on the customers. It gives the buyers a considerable amount of freedom to pick the suitable one to present for their friends, family members or beloved one. Tulip is the most commonly used flowers on many occasions like wedding, anniversary, birthdays and much more. Tulip is cultivated mainly from the Netherlands which has its native of Persia. This flower is most suitable for wedding occasions and also gets utilized with the bouquet decoration or arrangements. Tulip flowers get grown in different colors such as pink, white, yellow, peach, red, purple and much more. You can get this flower throughout the year with deviation with affordable price. So tulip is the better choice for the bouquet designers. You can also get a variety of tulip flowers in different parts of the world with a change in colors. Rose is the first choice for many people around the world when comes to love and affection on someone. They always use rose as a symbol of love and beauty and moreover poets also use the flower as a metaphor to describe the beauty, emotion, and passion. Rose is for weddings, anniversary, birthdays and other occasions. So it’s one of the primary choices for the bouquet designers to use rose one of the flowers to decorate beautiful bouquets. This is one of the common flowers with a wide range of purpose. The meaning of this white colored flower is about marital happiness. It’s a better choice for weddings where the pride carries the bouquet of stephanotis flowers. It seems one of the formal flowers to be used with every traditional marriage across the world. Peony is a full-headed, strongly perfumed flower available with different colors. The flowers are mostly founded and cultivated in Asia. You can get two different types of peony flowers such as herbaceous and tree peony. The bouquets made with the peony flowers makes pleasant and gorgeous to see. But the flower could be available with bit high price with the wholesale flowers sellers in different locations. It’s a bell-shaped flower comes from a thin stem, which seemed like one of the flowers comes as a ladder to heaven. You can also prefer lily of the valley as a choice for users with your bouquets. The flowers are also available for affordable cost with a variety of white and rosy on rare occasions. 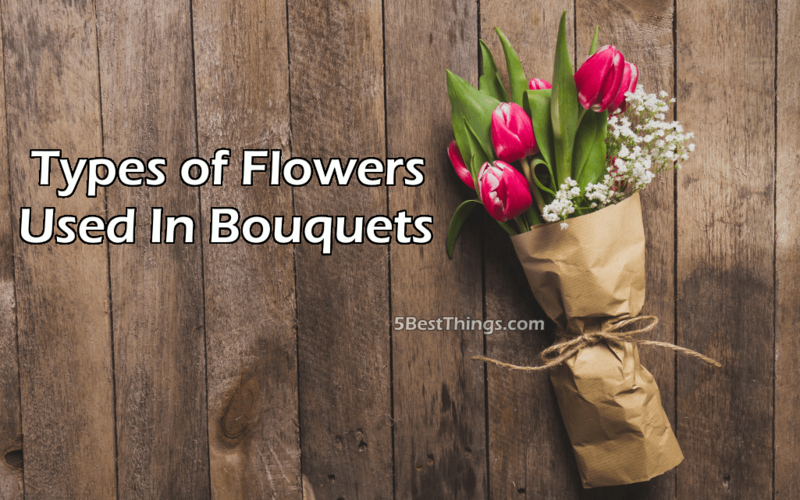 These 5 flowers get mostly used with the bouquet design and decorations for various functions such as wedding receptions, anniversary, birthdays and much more. You can approach with any wholesale flowers sellers; they also do the bouquet decorating works along with the flowers sales.